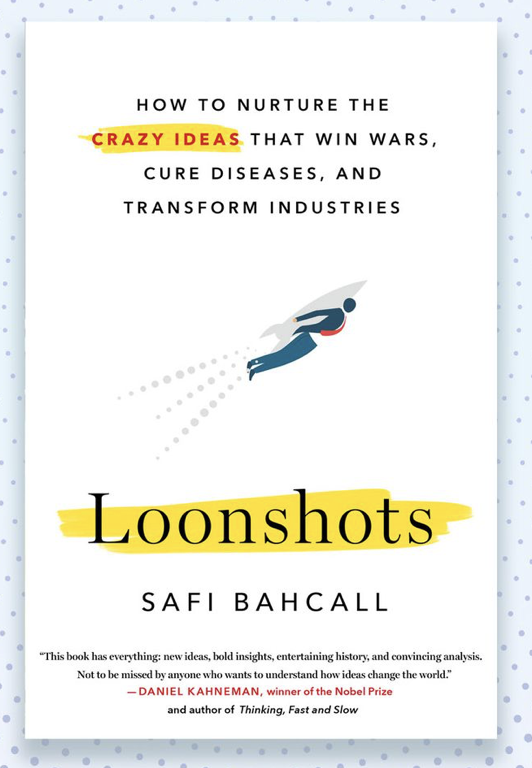 A moonshot is an ambitious goal, but physicist and entrepreneur Safi Bahcall is interested in what he calls “loonshots,” or the neglected, unhinged ideas that then go on to change the world. It turns out that understanding or applying that idea to groups can give you a new way to think about behaviors and why they suddenly change. Most of the books you read talk about how the change comes from the top and the CEO should be the “chief innovation officer,” but in a glass of water there’s no CEO molecule with a bullhorn checking the temperature and going, “well, it’s 33 degrees so let’s be liquid, oh it’s 31 now so everyone line up and be rigid.” There’s something about structure that causes molecules to suddenly change behavior and that has nothing to do with the top or culture. It’s what elements of structure transform the behavior of teams and companies.